I apologize for going MIA at the end of last week. I was neck-deep trying to finish a project before Friday afternoon and I got taken down by the stomach flu on Wednesday night, so the confluence of the two kept me away from the blogosphere for a few days. 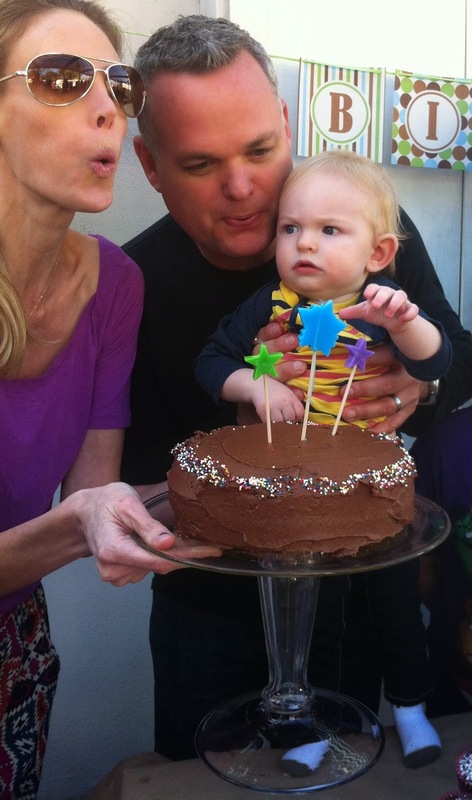 I'm back in action and finally, finally sharing all the details from Noah's birthday shindig! The Muffin Man's actual birthday is January 3rd, but due to all the holiday madness and my nephew's bar mitzvah, we decided to hold his party on New Year's Day so that all of the relatives who were visiting from out of town could be with us for the celebration. While it was exhausting hosting a party right on the heels of Christmas, everything turned out really well. Somehow I managed to pull it off, thanks in no small part to both sets of grandparents and good ol' Pinterest. We ended up inviting almost 50 people, so we decided the most practical thing to do was to host a brunch buffet on our back patio. Thankfully, the weather was exquisite, and the kiddos were able to run around the back yard, blow bubbles and enjoy the giant bounce house that I rented (seriously, best bang for your party buck ever. Less than $100!). I ordered all of the party supplies from Oriental Trading Company. I considered running around to different stores trying to find what I wanted/needed, but it was so much easier to spend an hour cruising their selection and then have it delivered to my door in time for the shindig. We went with a zoo animal theme, so I mixed lime green plates and cups with animal print napkins. I'm pleased with how it turned out, as I think it was appropriate for a kiddo party, but not too babyish. I have a severe hatred for tacky paper tablecloths, but I also don't happen to own a cloth one that matched my color scheme and fit our outdoor table. So, in a moment of brilliance, if I do say so myself, I covered the table with long pieces of brown packing paper (like you would use to wrap your breakables when moving). It's durable, looked super cute, and I didn't have to wash anything after the revelers went home! The floral arrangements, which I didn't really get a good picture of, were inspired by the ones we had at my friend's baby shower. I bought three bunches of white carnations at my local Sam's Club, cut the stems really short, and crammed them together really tightly before shoving them in round glass vases. They looked great, and the total cost for floral arrangements was less than $15. Trust me, do this for your next party and you will never turn up your nose at carnations again (plus they smell kind of spicy and nice). As far as we are concerned, it's not brunch unless it involves bagels and lox (hello, Jews!). We ordered a large selection of assorted bagels from our local bagel shop as well as lox and whitefish salad. If you live in LA, I can't recommend Sam's Bagels highly enough. Our guests were freaking out about the bagels, and even our family from New York said they were some of the best they'd eaten. Please, please stop eating bad bagels and get thee to Sam's. We also served vegetarian frittata, courtesy of my Mom, a seasonal fruit salad and coffee cake baked fresh by Nana (Chris's Mom). We roped our chef friend, Phuong, into making chocolate cupcakes, which were divine, and he also surprised us with a batch of canneles, or baked custards. You know, just your usual one year-old birthday party fare. Don't faint or anything, but I did manage to bake Noah's birthday cake, which was gluten-free, sugar-free and dairy free. Sure, I'm happy to fill my party guests up with poisonous things like wheat and cream cheese, but I provide only the best for my son. I have to say, the cake was really good. I don't think Noah ate any of it, but it looks good in pictures, and that's what counts, right? The Happy Birthday banner, and all the cute signs for the cupcakes and that I used to identify the food can be found here. I printed them on white card stock and then we glued bamboo skewers to the back of each little disc. This was really the easiest thing ever, but people thought they were just adorable. 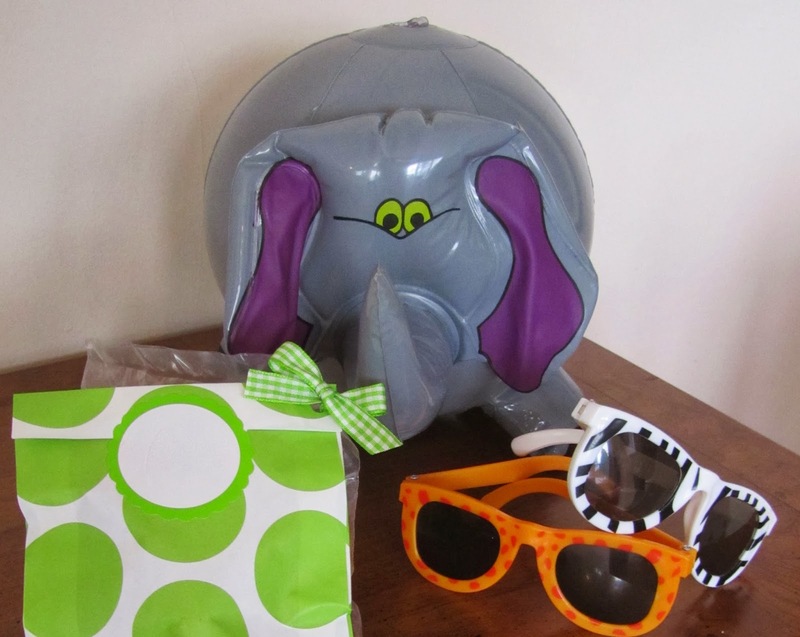 The favors were animal sunglasses and zoo animal blow up beach balls. I put the sunglasses inside the favor bag, which I sealed with a name sticker, and then I tied the beach balls to the back of the bags with green and white gingham-printed ribbon. They were so cute, and all the kids loved them. All in all, I'm pretty dang proud of myself for pulling off a great party. 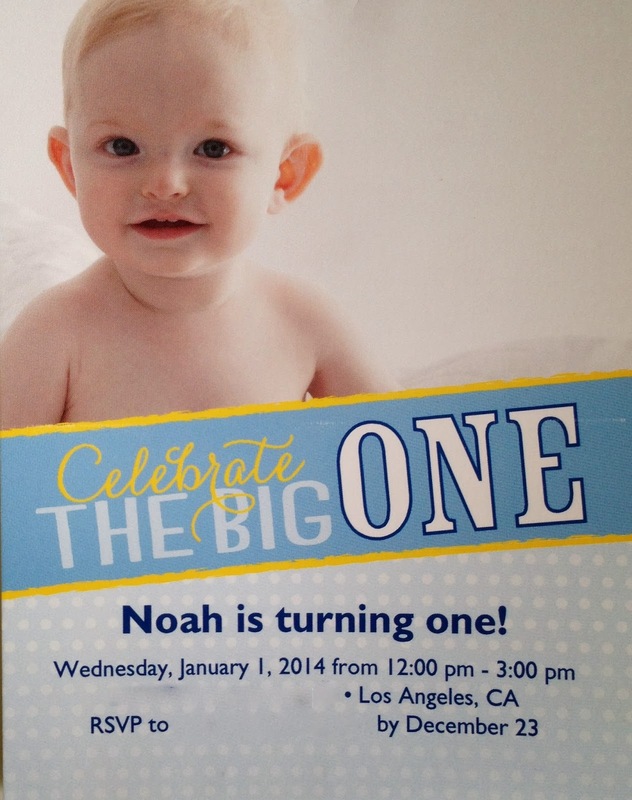 I should be recovered from it just in time to throw Noah a graduation party in about 17 years. Fresh Beat Band Live GIVEAWAY!